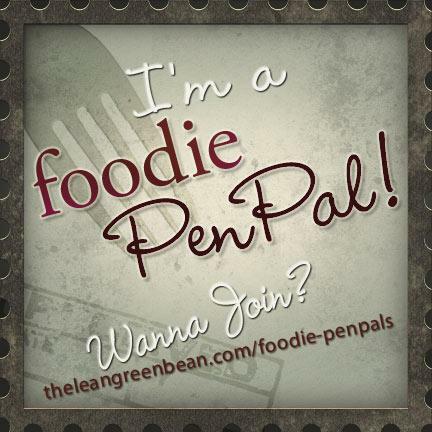 Another last day of the month, which means another Foodie Pen Pal reveal day. This month I got a wonderful package from Catherine Mackey. As Catherine said in her note to me, this was some of the most random treats to be put into a single box, but that did not make them any less AMAZING. First off, the sweets: Moon Pies, Nutella, Pomegranate Fruit Bars, and a chocolate brownie bar! Two things that I never buy myself but can’t get enough of when I have them. 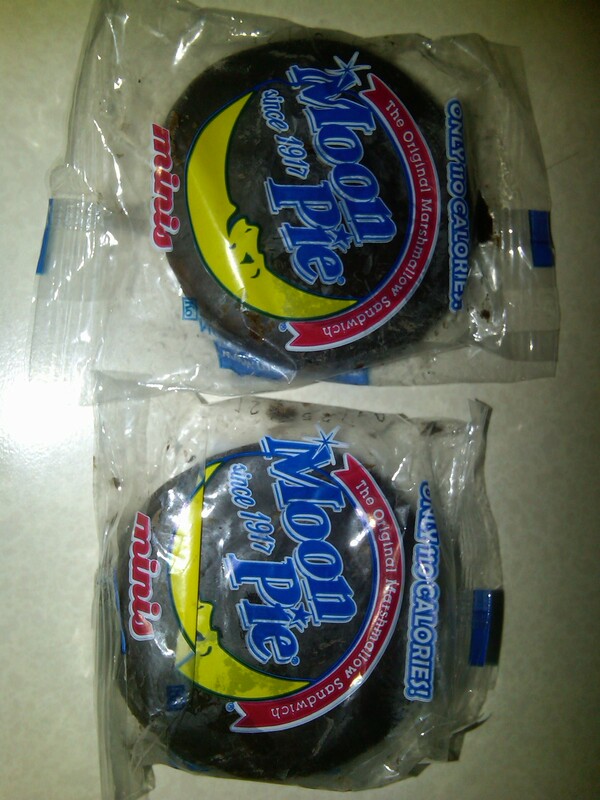 The Moon Pie brought back to my childhood, eating snack cakes. 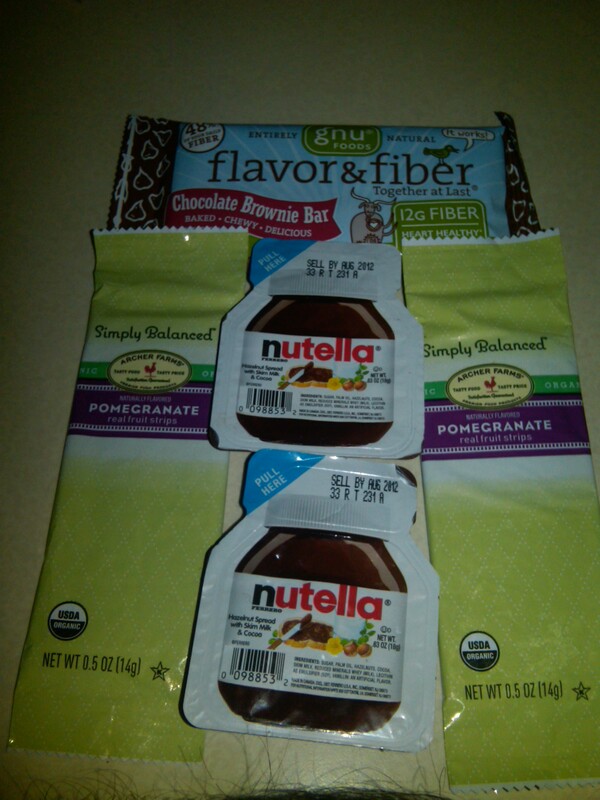 As for the Nutella, I LOVE NUTELLA. However, I am the only person in my household that enjoys it, so it was never in the house. I usually only get it at a creperie. So now I know it is time to make some crepes of my own. Yum! Pomegranate = awesome, Fruit bar = Even more awesome! These are fantastic and much healthier than your standard fruit roll-up. As for the chocolate brownie bar, have not gotten to it yet, but I’m excited all the same. I could use a yummy way to get more fiber. Sweets portion of the package are a great start! But that is not all. The final addition to my pen pal package were my favorite: The snack bags! First up dried organic Mango 🙂 I am a huge lover a dried fruit, and this mango was no exception. Normally I would save it and add it to trail mix, but I started eating one piece and just kept eating… Next thing I knew the whole bag was gone. My bad! But it was worth it. 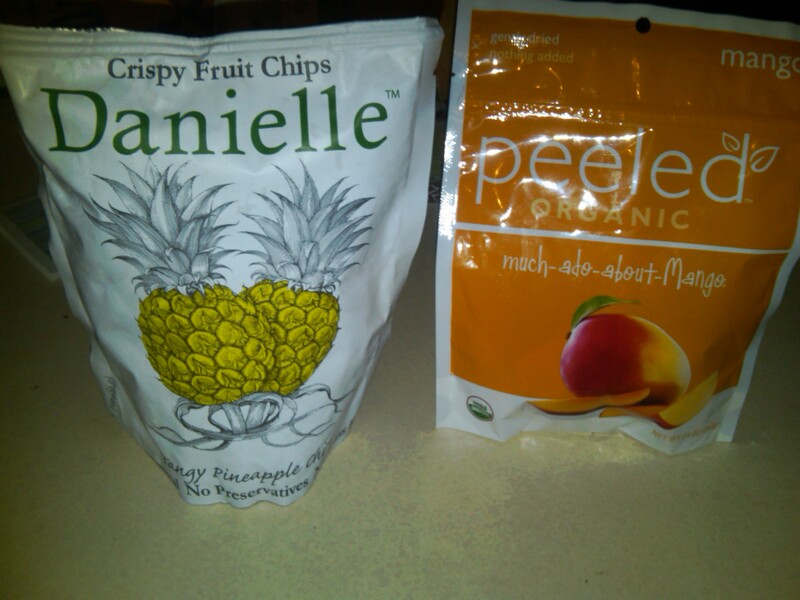 Next was something I had never seen before, and am BEYOND happy I have now: Pineapple chips. I had no idea what to expect, and it certainly was not what I ever could have expected. With the same crunch as potato chip, but the sweet tang of fresh pineapple, these unique snacks are something I will be keeping my eye out for. The final addition to the package was my favorite because it is the kind of snack I will from now on be making for myself. 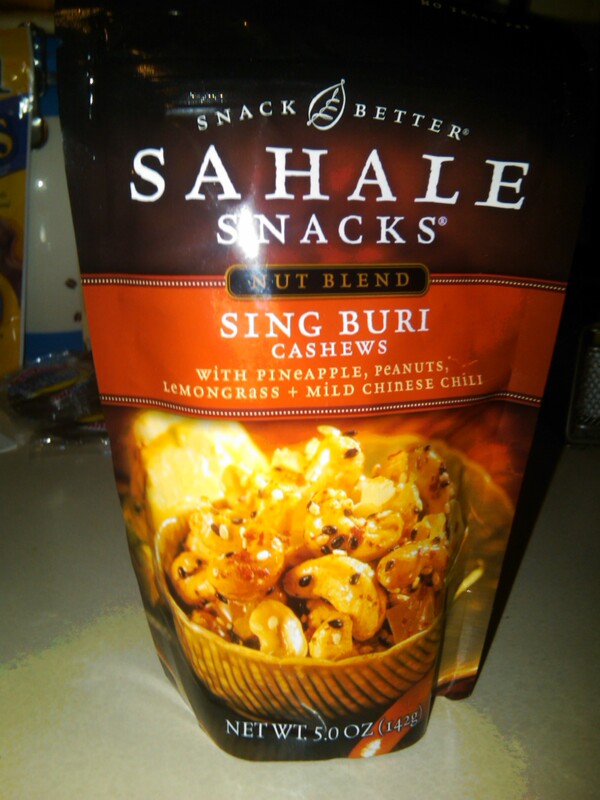 The Sing Buri Cashews are my cooking style in a snack bag. Soy glazed cashews with peanuts, pineapple, sesame, lemongrass, & chili –> the perfect combination of salty, sweet, and spicy. I will definitely be making these many times and packing them as my snack of choice. Take a look at these amazing snack bags from my Pen Pal. 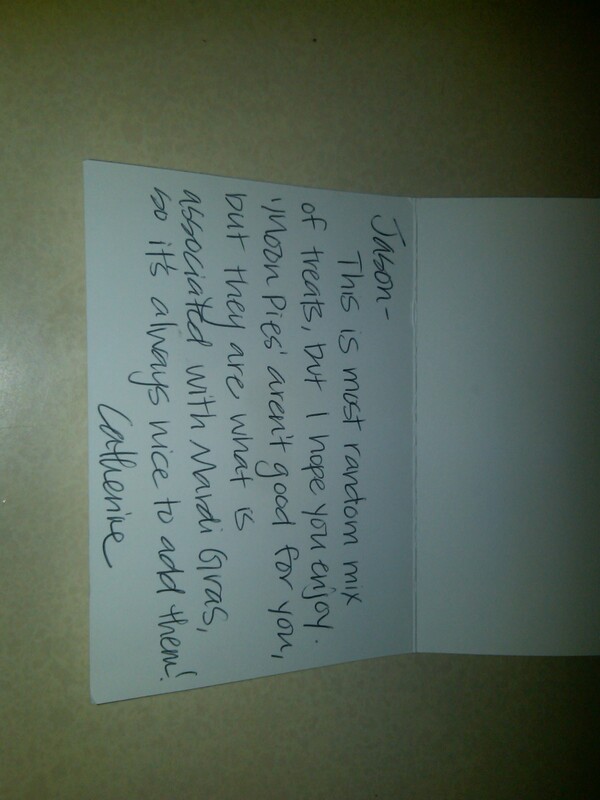 Thank you so much Catherine for an amazing Foodie Pen Pal package. To the best of my knowledge Catherine does not have a blog, but I will post it if I find out otherwise, or Catherine, feel free to post it in the comments. As for what I sent, my pen pal recipient was Deneene Guerry. I happened upon a great Asian Market whilst walking through Queens and decided to send an Asian themed Pen Pal package. To check out what it consisted of, head over to Deneene’s blog! 1) (Mandatory) Subscribe to this blog. Make sure you confirm your e-mail. You must be a subscriber to be eligible to win. If you are already subscribed, you ARE already eligible. 2) (Mandatory) Comment on this post stating your desire to win AND which day you would prefer to attend (Saturday or Sunday)! This qualifies you for your first entry into the random drawing as well as qualifying you for the additional entry options below. 3) (Optional-Worth 1 additional entry into the random drawing) Follow me on Twitter @MaurPowerFoodie and Tweet “Enter to win @MaurPowerFoodie’s first big giveaway! CT Wine Festival Tickets!!! http://wp.me/p2jjsv-52” linking to this blog post. 4) (Optional- Worth up to 5 additional entries into the random drawing) Make a donation to my Avon Walk For Breast Cancer page. Every $20 donation is equal to 1 entry up to $100.00. There you have it! It is as easy as that to earn anywhere from 1-7 entries for the tickets, and the drawing will be done first thing Wednesday morning at 8:00 AM EST, so be sure to ENTER NOW!!! Winner will be contacted by e-mail to make arrangements to get you the tickets 🙂 Good luck everyone. 8 Comments	| tags: Blog, breast cancer, contest, CT, donation, festival, giveaway, Jason, Maur, MaurPowerFoodie, random drawing, subscribe, tickets, twitter, wine, winner	| posted in Announcements, Giveaways! 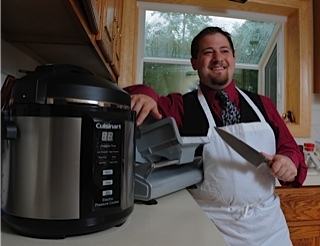 A NEW MaurPowerFoodie Challenge: You decide my monthly culinary quest!!!! Hello everyone! Since I was tossed out of the MasterChef Kitchen, I have really started branching out from my cooking style and now it is time to take the next step. I have decided to really start challenging myself as a chef and you are going to be the ones to challenge me. So every month I am going to gather ingredients based on your comments on my MaurPowerFoodie Challenge posts. I will use the first 5 ingredients (provided they are available to me at a somewhat reasonable price) plus as many of the other suggested ingredients I can to create a (hopefully) stunning and delicious dish. I will then post pictures, a recipe, my thought process in creating said dish, and maybe even a video here and there of my frantic creative process in the kitchen and/or at the store. Now I don’t want to keep you all waiting, so this challenge starts now! 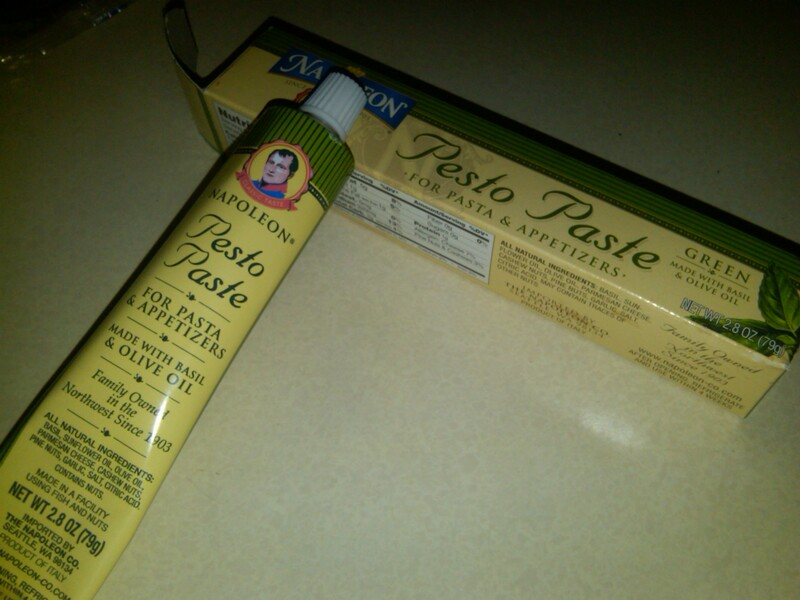 You must follow the blog AND leave a comment on this post for me to use your ingredient suggestion. One ingredient per person. 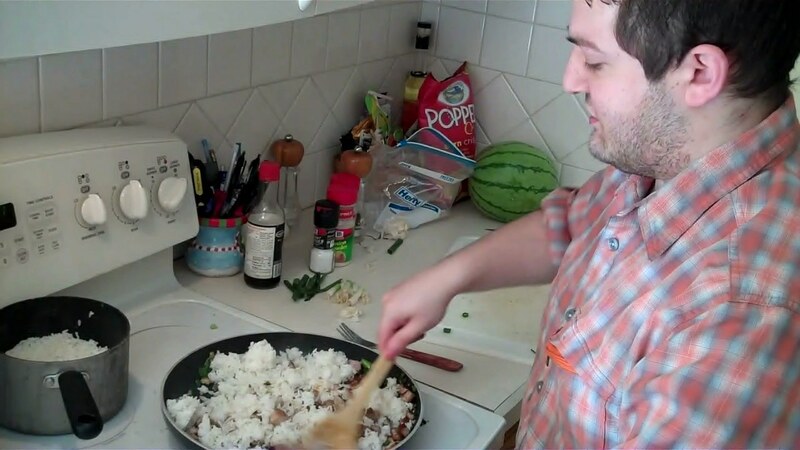 Then, at the end of the month, I will take the ingredients and in August make my dish and do a post about it. 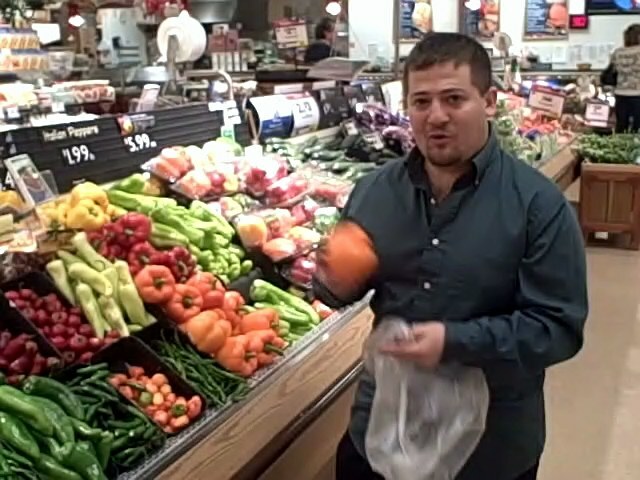 Then, on that post, I will take suggestions for the next month’s challenge ingredients. Be creative but also be thoughtful, because as fun as it would be to watch me squirm with some odd ingredient combo’s, it would also be great to give you all new recipes you can use at home when looking for something delicious. Remember, for me to use your ingredient, you must BOTH follow the blog AND leave a comment on this post. One ingredient per person. I will definitely use the first 5 ingredients and then as many of the others as I can.